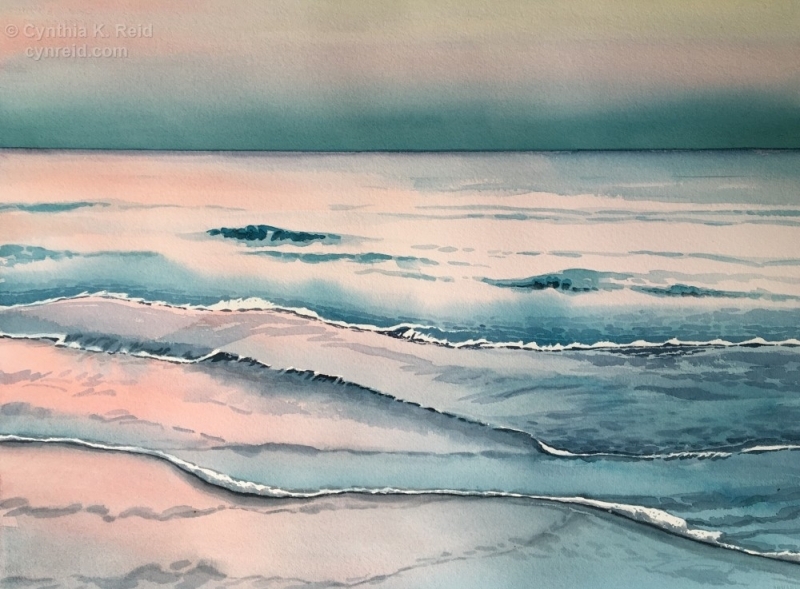 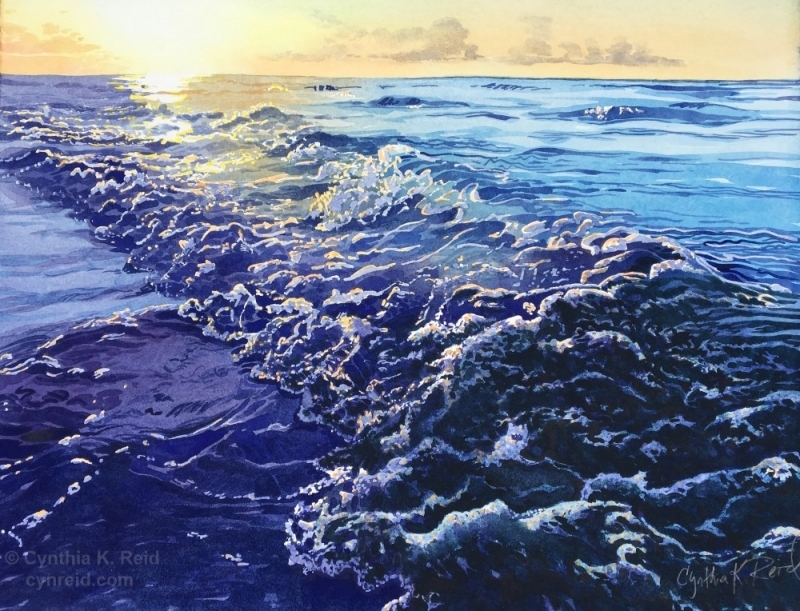 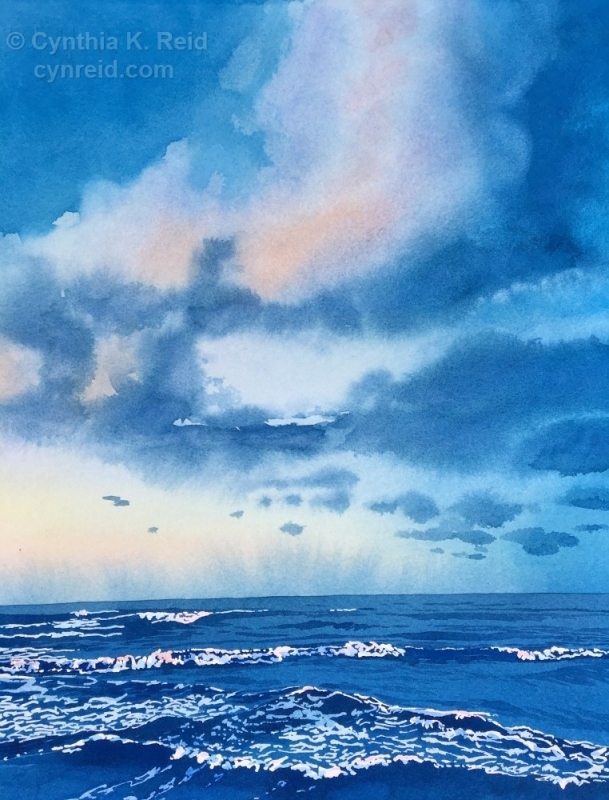 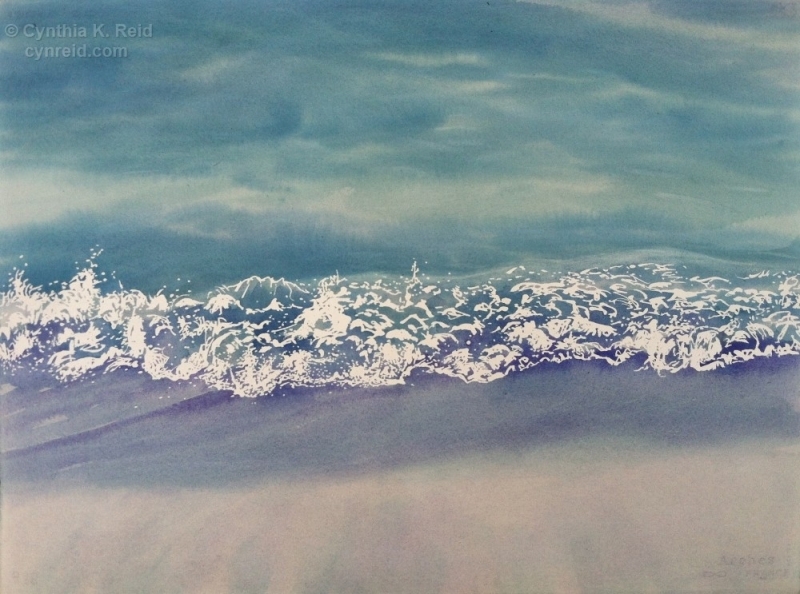 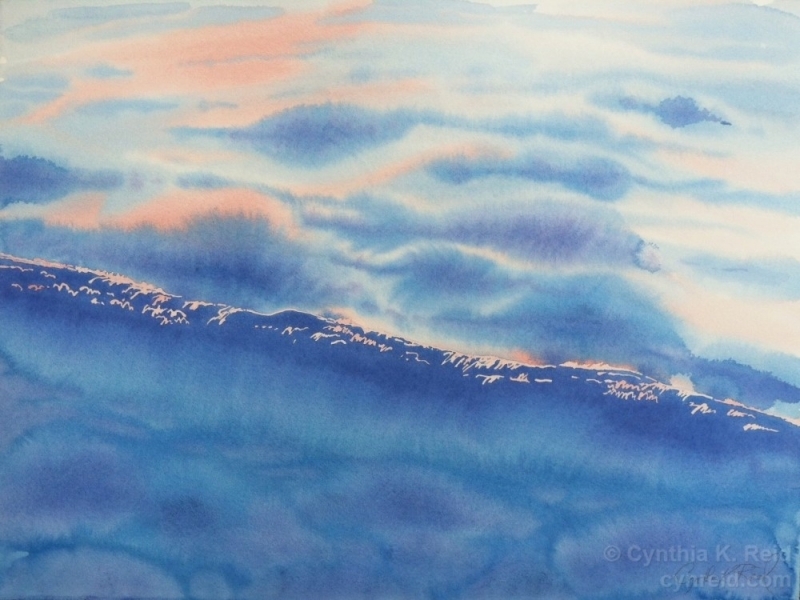 The watercolors in the series “Ocean Waves” are based on photographs that Texas artist, Cynthia Reid, took at Galveston, Pensacola Beach FL, and Playa Junquillal, Costa Rica. 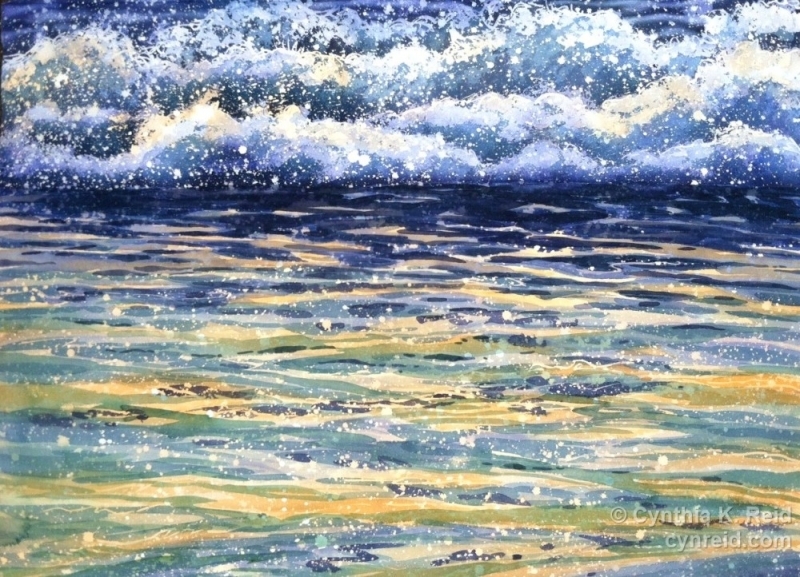 Water is a complex subject to depict; colorless, it borrows its hues from the surroundings, such as sky and sand. 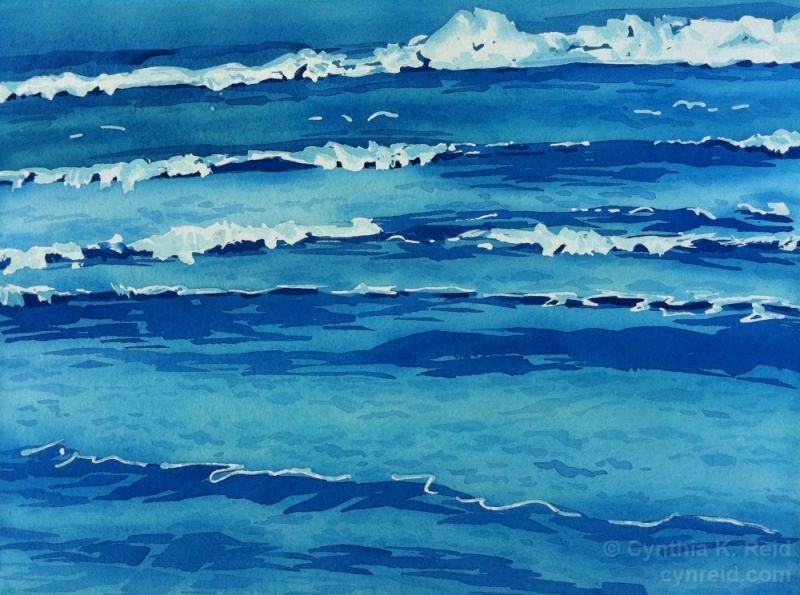 Along with the reflected color, depending on depth and transparency, objects and colors may be seen beneath the surface of the water. 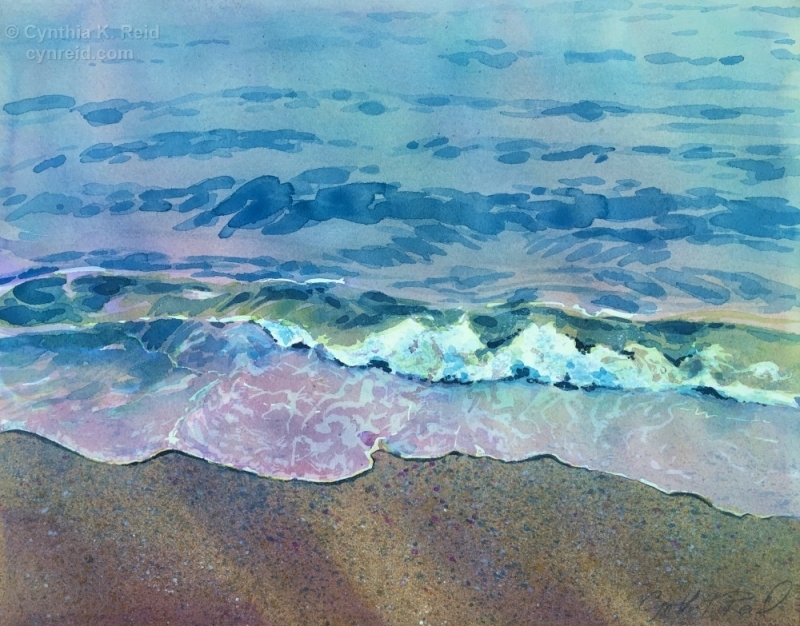 There can also be objects floating on the surface, along with froth or foam usually present.